Bankruptcy and Insolvency are key areas of our work. This can be a very efficient way of collecting bad debts. This process should only be used if a debt is undisputed. Normally we will in relevant situations send out a Pre-Action protocol letter to the debtor to flush out any potential defences to the claim. The defence to a corporate statutory demand is an injunction application to restrain the filing of a winding-up petition. This can be an expensive disaster, hence the need to exercise caution and use an experienced solicitor for this process. Such petitions are relatively common. We are experienced in defending such applications. It is possible to appeal council tax assessments to the Valuation Tribunal. Regarding liability orders, applications to set these aside need to be made promptly from the first knowledge that these have been made. 1. Compliant by the alleged Debtor/Defendant that there has been no personal service of the bankruptcy petition. This is a frequent complaint. It is necessary to inspect the bankruptcy file to see if the petitioning creditor has obtained an Order for Substituted Service, which has been precisely complied with. The bankruptcy petition will be deemed to have been properly served if such an Order has been obtained and has been precisely followed. Substituted service may provide for public advertisement and/or for the posting of the petition to a specified property address etc. 2. What is a statutory demand? A statutory demand is a prescribed form of demand for payment which is served in advance of the issue of bankruptcy or winding up petition. The recipient of a statutory demand has a period of 21 days from the date of service to pay the debt claimed or to secure or to make an offer to compound the debt to the satisfaction of the creditor. The provision of security is unfortunately narrowly defined by the Courts. The provision of security (if not accepted by the Creditor) cannot be satisfied by simply offering a charge over the property. It is a common requirement by the Court for the property to be on the market for sale and indeed for a prospective purchaser to have been found. However, if security is available, there is the possibility of obtaining specialist insolvency finance to pay off the amount claimed in the statutory demand as an on-account payment, if you wish, and then continue to challenge the amount claimed if necessary, by way of regulatory complaint, court action or otherwise. This is a useful option where the claim is for estimated tax assessments by HMRC. Only a limited number of lenders will in our experience offer the facility of insolvency finance. To compound the debt means an offer to pay by instalments. The Bankruptcy Courts will not usually permit an offer to pay a debt over a lengthy period. Two months or so is normally the most time which may be permitted by the Bankruptcy Judge. Obtaining insolvency finance where relevant should be considered in this type of situation. 3. How should the statutory demand be served? Generally, this should be personally served upon the debtor although if this is not possible, service may be effected through an alternative route by way of substituted service, such as sending the demand by first class post and/or posting the demand through the letterbox of the debtor’s home address. 4. What do I do if I receive a bankruptcy statutory demand? There is an 18-day period from the date of service to apply to the Court to set aside the statutory demand if you are in the UK. There are extended periods for making such an application if you are outside the UK. One of the grounds for such application is if the money demanded is disputed upon substantial grounds. The Court can grant an extension of time for this application to be made. However, such an application cannot be made once a bankruptcy petition has been presented. If a statutory demand is served, legal advice should be sought without any delay. It is quite common to have prepared and filed an application to set aside the statutory demand within a short timescale. Please take legal advice as soon as possible after a statutory demand has been served. For Companies, if a statutory demand is served, the remedy is to apply to the Court for an injunction to restrain the filing of a winding-up petition. If the debt is disputed, the Creditor is usually at first asked to provide an undertaking, not to file a winding-up petition without giving 7 or 14 days written notice to the alleged debtor’s solicitors. An injunction will also need to be issued where relevant to restrain the advertisement of a winding-up petition which can occur seven days after the date of service of the winding up petition. Advertisement of the petition will result in the freezing of a company’s bank account which will usually cause serious difficulties for a company. 5. Is it possible to raise money in order to avoid a bankruptcy (or winding up) petition once a statutory demand has been served, or indeed to prevent a bankruptcy or winding up order once a petition has been served? There may be specialist insolvency finance available in these situations. There are some companies who provide insolvency related loans as against security of property in these situations. There are also several methods for raising such finance. If you wish, we can recommend a broker who is experienced at raising this type of finance and who has knowledge of this market. 6. Is it possible to set aside a Bankruptcy Order? This is known as an annulment. It is possible to apply to set aside a Bankruptcy Order because such an Order ought not to have been made. This is a fairly difficult application, and in particular, the costs and expenses of a Trustee in Bankruptcy will need to be dealt with. Depending upon the circumstances the debtor or the creditor will be ordered to pay these costs. There are further difficulties which arise if the Creditor has a court judgment. As a general rule, the Court will not be willing to go behind a judgment. 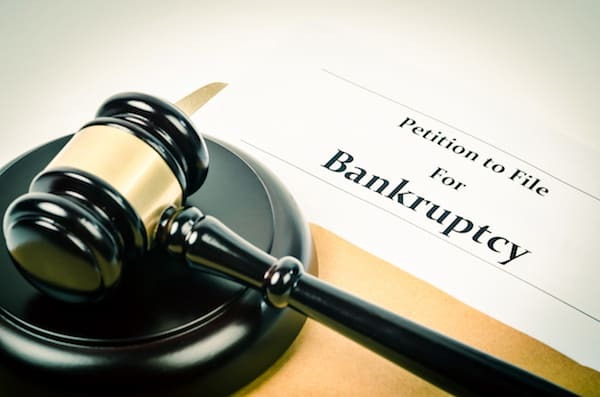 The right to apply to set aside the judgment also rests upon the making of a bankruptcy order, into the Official Receiver and/or any appointed Trustee in Bankruptcy. In such a case, it will be necessary to persuade the Trustee in Bankruptcy to be a party to the application to set aside the judgment. The Trustee in such case will almost certainly require monies to be deposited with him to secure their own costs liabilities. Alternatively, a bankruptcy order may be annulled (or set aside) upon the basis of payment all the debts and expenses of the bankruptcy – which is the most common basis of making annulment applications. Annulment finance may be raised if there is relevant property security available. This application will require all of the creditors to be paid off- including statutory interest which runs at 8% as from the date of the bankruptcy order if the creditors are not willing to waive statutory interest. There may also be the possibility of an agreement being reached with creditors to accept in settlement of their claims a lesser sum to be immediately paid to them via third-party funds and upon the basis of material disclosure being made to the creditors as to the prospects of them being paid if the bankruptcy were to continue in the normal way. Generally, creditors prefer an immediate lesser payment either through the annulment finance or outside of this via a third party. We are experienced with annulment applications, and normally have many such applications running at any one time. 7. Does bankruptcy affect the interest of my partner or spouse in the family home? No. The interest of your partner or spouse is not affected by a Bankruptcy Order as against yourself. However, if the interest of the Trustee is not bought out or your bankruptcy is not annulled, at some point in time the Trustee in Bankruptcy will issue possession proceedings to sell the property. The Trustee has three years from the date of bankruptcy to issue such proceedings. If this time limit is missed, then the property will re-vest back into the bankrupt. Again, specialist finance can be secured to either buy up the Trustee’s interest in the property or to annul the bankruptcy. It is necessary to undertake a calculation exercise to ascertain which is the cheapest way to proceed, whether buying out the interest of a trustee in the property or annulling the bankruptcy. 8. Is it possible to negotiate with the creditors in relation to an annulment application? Yes. It is common practice to ask creditors if they would be willing to waive statutory interest to assist in the annulment process and also it is possible to agree on reduced amounts to be paid on the basis that the debts are paid by a third party immediately or through annulment finance. It is best for such negotiations to be undertaken by a solicitor, since if there are any assets of value in the estate these need to be disclosed to the creditor when undertaking such negotiations. The Bankruptcy Judge will require to see that such disclosure has taken place before accepting reduced sums being paid to the creditors as part of the annulment application. 9. What is an Income Payments Order? This is an application by a Trustee in Bankruptcy for payment of income from a bankrupt. These orders usually last over a period of 3 years. Trustees in Bankruptcy can be relatively forceful about such applications and will generally offer an income payments agreement to be signed by the bankrupt as an alternative to going to Court. We can advise bankrupts concerning a proposed income payment agreement or court application. 10. What is a Bankruptcy Restriction Order? This is an application by the Secretary of State to extend the period of bankruptcy restrictions (these usually end upon automatic discharge from the bankruptcy one year after the date of the bankruptcy order). This can cause hardship, particularly where the bankrupt is in business as one of the restrictions is a prohibition on being a director or being involved in the management of a limited liability company or borrowing more than £500 without disclosure of the bankrupt status. The Secretary of State will normally offer a voluntary undertaking in lieu of going to Court. We would be very pleased to provide advice in this situation and to endeavour to negotiate the period of the restrictions with the Secretary of State or to fight such proposal in Court if so instructed. 11. What happens to property acquired between bankruptcy and discharge? There is an obligation to notify all acquisitions to the Trustee in Bankruptcy who can then proceed to claim them for the benefit of the bankruptcy estate. We can advise clients about issues in respect to the after-acquired property. We do not charge for an initial telephone call. If your matter is urgent, we can see you on the same day.